The Dodgers finish the year 92-70 and champions of the NL West for the third straight year, following today's sweep of the Padres. 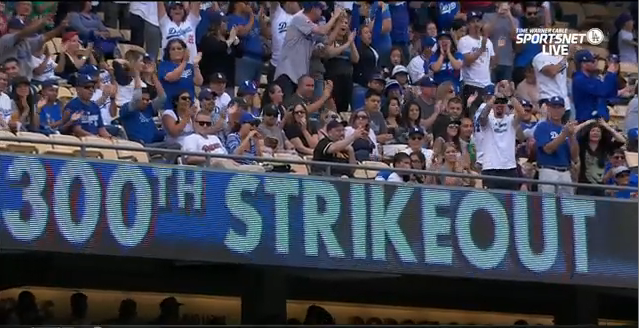 More importantly, Clayton Kershaw became the first pitcher in 13 years to reach 300 strikeouts. And even more important than that, no one was injured today (though Jimmy Rollins, given the role to manage by Don Mattingly, walked awful slowly out to the mound to relieve Kershaw in the fourth inning. Rollins, wearing Lasorda's #2 jersey, took his own sweet time from the dugout). Joc Pederson uncorked a two-run HR in the second. 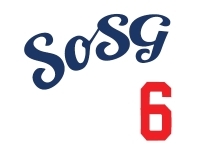 Corey Seager had a solo shot in the sixth, and Chris Heisey had a two-run HR in that same frame. Ronald Torreyes singled for his first major-league RBI in the eighth. Kershaw, with seven Ks, was his old dominant self. Chris Hatcher got the save, as Kenley Jansen was playing the role of Rick Honeycutt (pitching coach) today, alongside Rollins. The Mets won vs. Washington, snapping a five-game losing streak. We face them Friday at the Ravine. So who plays the cards tougher. Cubs or pirates? How much is too much for a standing room ticket to game 3 or 4? Depends if the Dodgers make it to the LCS. Plus a burger from Shake Shack?